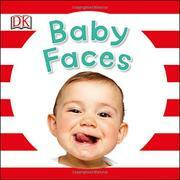 A sturdy, serviceable board book features babies doing what babies do best—look cute. The text takes the form of prompts, as if from a photographer in a studio. “Make a smiley, happy face. / Hee! Hee! Hee!” The first, smiling baby has curly brown hair and light-brown skin, but the other five in this brief album are light-skinned, albeit charming. The text is wordy to accommodate the awkwardly forced rhymes that stretch over two double-page spreads. “Be really grumpy with me!” concludes the rhyme begun on the previous spread with “Hee! Hee! Hee!” Moreover, that “Be really grumpy with me!” paired with a picture of a distraught, crying child seems rather mean-spirited. Saying simply, “Make a smiley, happy face,” “Make a sad and gloomy face,” and so on would have avoided this problem while keeping the text age appropriate, giving it a genuine feel, and avoiding the singsong tone. The rhymes in Baby Night-night, published simultaneously, work somewhat better, though rhyming “ting-a-ling” with “begin” is a stretch. Foil stripes on the covers and sparkly textures inside seem designed to make this Baby Sparkle series stand out on the shelf, but these decorative features have no relationship to the content of each title. The claim on the back cover that “sparkly patterns stimulate baby's vision” may sell books to eager young parents but is not backed up by scientific research.